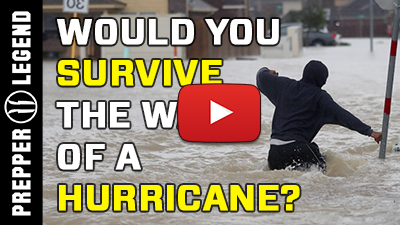 Would You Survive The Wake of a Hurricane? Home » Would You Survive The Wake of a Hurricane? A series of devastating hurricanes hit the southern US this year, are you ready for the next one? In the second half of 2017, Northern America was hit by a series of devastating hurricane storms, from Harvey to Jose, causing the most damage in the US in Florida, Louisiana and Texas. 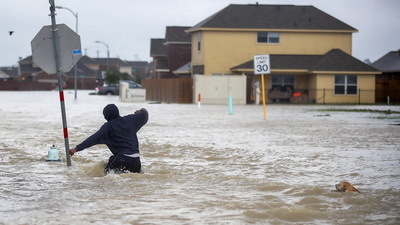 In the wake of these massive storms, many people were rendered homeless, with no food or water – entire neighborhoods were flooded, ruining buildings, cars and other property. Many people were left in a state of disarray, and hundreds died from physical injuries, lack of shelter, clean water and food. Others were hurt in the ensuing violence and massive looting. The good news is that we can! Storms are a regular occurrence and their path is broadcasted on the news. Also, there are many apps that give you weather reports in real time – I use AccuWeather and it works pretty well. Make sure to stay updated on the weather conditions in your area, and if the forecast shows that a devastating storm is heading your way, relocate somewhere safe beforehand. You can stay with family or friends that are located out of the storm’s reach, or even stay at a motel until the storm passes. Another option is to prepare a proper storm shelter, stocked with enough supplies for you and your team for the duration of the storm and afterwards. You can find plenty of information online on how to construct this sort of shelter. Always make sure you have your 72-hour survival kit ready and handy (Gear Tier System series) with everything you need to bug-out of your home in case a disaster leaves your area unsustainable. Is there something more we need to do if we decide to bug-in in the shelter we prepared? 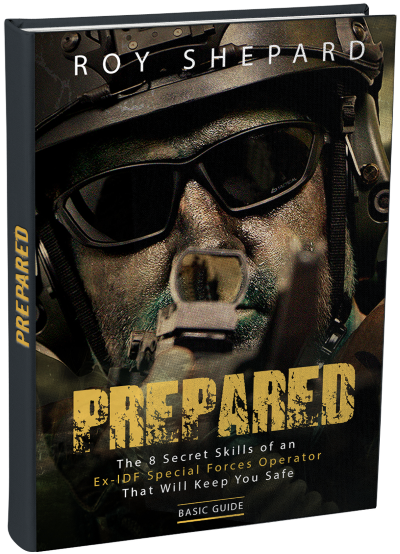 Opsec – don’t discuss your preparations outside of your team. Look the part – observe the people around you and imitate their looks – if they are dirty and smelly, make sure your appearance matches theirs. 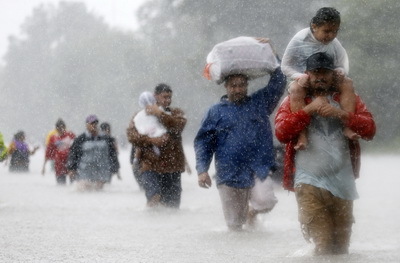 Even if you have supplies, stand in line to receive aid, if there are any. Socialise with the people in your community, and share your hardships. If you decide to help people outside your team, do so moderately, and keep it secret. Important Notes: DO NOT ADVERTISE YOU HAVE SUPPLIES – people are going to become very desperate, very fast, so advertising that you have supplies will draw the attention of the people in your area. At first they may ask for help, but later on they might even demand it, leading to dangerous situations. So always blend in and make sure to look and act the part of needing help – others won’t bother you, since you’re all in the same “boat”. Natural disasters are a part of our lives, and will occur from time to time. Always stay informed and act quickly to avoid the danger zones, prior to the events. If you decide to stay put, make sure to be prepared and blend in, so not to attract any unwanted attention. Helping others is great, as long as you do so in secret, while posing the least danger to yourself and your team. Have YOU ever been caught in the wake of a natural disaster? What do you think is the most important thing to do in this sort of situation? We are constantly receiving many great questions and comments from our community. In the next post I’ll address some of these so everyone can benefit from them.